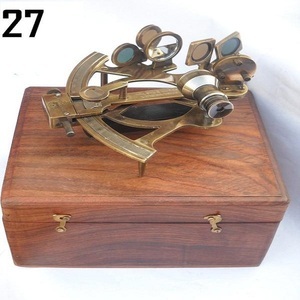 Dear Sir/Mam Welcome to the Genuine world of Handicrafts, We take the Immense Pleasure to introduce our self as a leading Manufacturer and Exporter of Brass,Wooden,Leather,Iron etc items We at GLOBAL HANDICRAFTS Provide you our Immaculate Quality Products with Accurate Measurement and Timing. Samples examination before Mass production Capable to Reproduction or Redesign Any Required Product. Huge and Wide Variety in Antique Nautical and Medieval Armors etc Competitive and Reasonable Prices. Our company always believes in building a long-term fruitful business relationship with the clients by providing Quality products, export packing and smooth deliveries. K,EUROPE,GERMANY, & many other reputed country in bulk but we need more counterparts in your country. We hope we may be able to serve you our best products and services on regular basis. 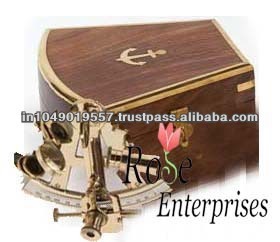 Beautiful Hand Made Replica Sextant have all movable parts. 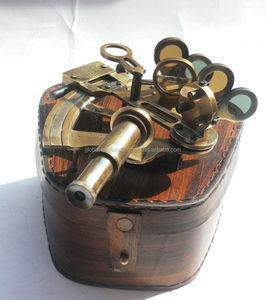 Sextant is made of brass & Box is made of wood. Sextant has a adjustable Mirror, Telescope, Index arm, Magnifying glass . Its primary use is to determine the angle between acelestial object and the horizon which is known as the altitude. The angle, and the time when it was measured, can be used to calculate a position line on a nautical or aeronautical chart. 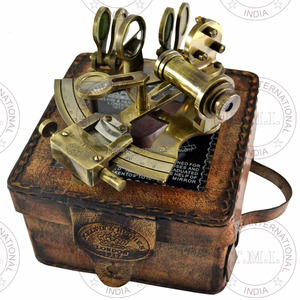 This Is Antique Reproduction Solid brass Sextant, it comes with rose wood case and two extra small reading telescopes. This has enabled us to bag repeat orders from our existing buyers located worldwide. We are already exporting to usa, & reputed country in bulk but we need more counterparts in your country. i hope we may be able to serve you our company, We hope our products will meet your requirements. Backed by expertise, we have been able to offer useful products to the end users that can be availed by them at the most affordable prices. Ensuring to offer exclusive products with the mutual consent of our customers, we strive hard to achieve total customer satisfaction. Working under his excellent guidance, our design and production team comes up with exquisite designs as per the latest market trends. 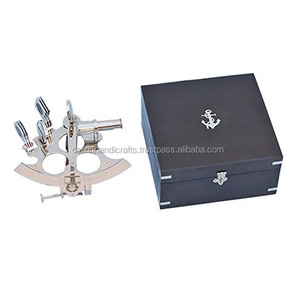 Alibaba.com offers 139 german sextant products. About 30% of these are metal crafts, 6% are other gifts & crafts, and 1% are telescope & binoculars. 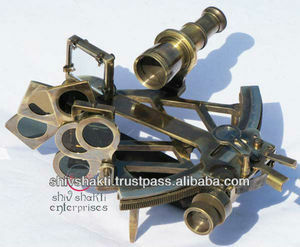 There are 58 german sextant suppliers, mainly located in Asia. 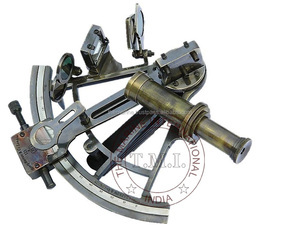 The top supplying country is India, which supply 100% of german sextant respectively. 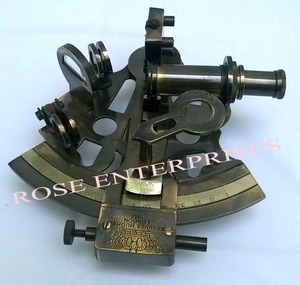 German sextant products are most popular in North America, Northern Europe, and South America. You can ensure product safety by selecting from certified suppliers, including 15 with ISO9001, 8 with Other certification.